Ecclesiastes tells us there’s nothing new under the sun. Where the pilot shortage debate is concerned, that’s definitely true. More than one industry veteran has wryly noted the “impending pilot shortages” of every decade since the Second World War. And considering the number of pilots trained during that conflict, you could say the shortage history goes back a lot further. How about to the very dawn of powered flight? I mean, Wilbur and Orville could have saved themselves tremendous time and money if only they’d had an experienced instructor to guide them! Every “pilot shortage” article, blog post, and discussion I’ve seen centers around short-term hiring trends and possible improvements in salary and benefits for aviators. Nobody asked my opinion, but for what it’s worth, it seems both clear and logical that the regional airlines are hurting for pilots. The pay and working conditions at those companies are horrific. Major airlines will probably never have trouble attracting people, however. I don’t know if that qualifies as a pilot shortage. I tend to think it does not. It’s more of a shortage of people who are willing to participate like lab rats in a Part 121 industry cost-cutting experiment. What the pilot shortage mishegas really has me thinking about is the long-term possibility of ab-initio schemes migrating to the United States and what a profoundly bad thing that would be for aviation at every level. According to Wikipedia, “ab initio is a Latin term meaning ‘from the beginning’ and is derived from the Latin ab (‘from’) + initio, ablative singular of initium (‘beginning’)”. In aviation, it refers to a method of training pilots. In fact, it’s the de facto technique in use for the majority of airlines around the world. Essentially, foreign airlines will hire people off the street who have no flight time or experience. They are shepherded through the various ratings and certificates necessary to fly an Boeing or Airbus while on the airline’s payroll. This might sound like a brilliant idea — and to an airline, it probably is. Imagine, no bad habits or “we did it this way at my last job” issues, just well-trained worker bees who have been indoctrinated from day one as multi-pilot airline crew members. I don’t know if the airlines love ab initio or not. What I do know is that non-U.S. airlines use it because there’s no other choice. The fertile, Mesopotamian breeding ground of flying experience we call general aviation simply does not exist in those countries. Without GA’s infrastructure, there are no light aircraft, flight schools, mechanics, or small airports where aspiring pilots can learn to fly. Those who do manage to get such experience more often than not get it here in the United States. To put it another way, the “pilot shortage” has been going on in foreign countries since the dawn of aviation, and ab initio is the way they’ve solved the problem in most places. So what’s my beef with this method of training? To put it simply, in an era of atrophying pilot skills, ab-initio is going to make a bad problem worse. While it’s a proven way of ensuring a steady supply of labor, ab initio also produces a relatively narrow pilot who is trained from day one to do a single thing: fly an airliner. These airline programs don’t expose trainees to high Gs, aerobatics, gliders, sea planes, banner towing, tailwheels, instructing, or any of the other stuff that helps create a well-rounded aviator. If airlines in the U.S. adopt the ab initio system, the pilots they hire will only experience things that are a) legally required, and b) directly applicable to flying a modern, automated airliner. Nothing else. After all, an airline will only invest what’s necessary to do the job. It’s a business decision. And in an era of cutthroat competition and razor thin profit margins, who could blame them? The problem is, all those crap jobs young fliers complain about (and veterans seem to look back on with a degree of fondness) are vital seasoning for a pilot. He or she is learning to make command decisions, interact with employers and customers, and generally figure out the art of flying. It’s developing that spidey sense, taking a few hard knocks in the industry, and learning to distinguish between safe and legal. These years don’t pay well where one’s bank account is concerned, but they are create a different type of wealth, one that’s often invisible and can prove vital when equipment stops working, weather is worse than forecast, or the holes in your Swiss cheese model start to line up. Thus far, airline ab initio programs haven’t been a major part of the landscape here in the U.S. because our aviation sector is fairly robust. We are blessed with flying jobs which build the experience, skill, and time necessary for larger, more complex aircraft. But it’s easy to see why it might become an attractive option for airlines. For one thing, that darn pilot shortage. The cost of flying has risen dramatically over the past decade while the benefits (read: money) remain too low for too long. Airlines can cure the shortage by training pilots from zero hours… but at what cost? Coming up through the ranks used to mean you were almost certain to be exposed to some of those elements. That’s why I believe ab initio would be just one more nail in the coffin of U.S. aviation, one more brick in the road of turning us into Europe. While I like visiting The Continent, I do not envy the size or scope of their aviation sector and sincerely hope we don’t go down that path. Now, with its subsidiary company Jeppesen, [Boeing] will undertake ab initio airline pilot training to provide a supply of pilots with an “Airline Transport Pilot License” (certificate in the U.S.) and a Boeing type rating who “will be ready to move into the first officer’s seat,” according to Sherry Carbary, vice president of flight services. Boeing’s ab initio training program is divided into two parts. The first, run by Jeppesen, will take an applicant—referred to as a cadet—who must hold a first-class medical at the time of application, and put her or him through a screening process. Those who pass will go through 12-18 months of flight training, resulting in, according to David Wright, director of general aviation training, an Airline Transport Pilot License. The second phase involves the cadet going to a Boeing facility for another two months of training where she or he gets a first exposure to a full-motion jet simulator, and that will result in a type rating in a Boeing jet. Wright said that cadets will come out of the $100,000-$150,000 program with 200-250 hours of flying time and will be ready to go into the right seat of an airliner. Boeing jets are operated by major airlines, not regionals. An American pilot would typically sport several thousand of hours of flight experience before being hired there. Now Boeing is proposing to put 200 hour pilots into their airplanes on a worldwide basis. That won’t fly (yet) in the U.S., where 1,500 hours is currently required for an Airline Transport Pilot certificate. But I believe the ab inito trend bodes ill for airlines and general aviation alike. This article first appeared on the AOPA Opinion Leaders blog. Here, hear! I too scoff at the idea of these, “ab initio” training programs for precisely the reason you cited Ron. The, “crap jobs” that take a barely qualified commercial pilot and expose them to the trials and tribulations of the, “aviation experience” as a whole. The crap jobs provide the substance of our knowledge and experiance bank. The same bank that is continuously revisited, tapped and built upon as we hone our craft to futile perfection. Everyone has had a crap job, I’ve had a crap job(I still do…) and the experience gained is an invaluable part of the learning and maturing process of a well rounded, professional aviator. I see ab initio as not just a training program but a pseudo or even spurious career track. The zero time to airline programs I see advertised are a little disturbing to me and I’m not talking about the financing rates… Even though the sacrifices were many and the dollars few,(I can still catch a whiff of ramen and JBox tacos from my jacket when the wind is right) I feel your not only getting taken for a ride but short changing yourself by sidestepping one of the cheapest and most educational experiences you can get. P.S. Ron, I’m curious as to why you chose to define, “ab initio” and not, “mishegas.” You lost me there and I had to dust off my Websteins Dictionary for a translation. My CMF polo shirts still retain a vague smell of crushed fruit flies and JP-8 — quite the appetizing melange. I learned some important lessons from those jobs that I don’t think could be taught in a formal setting. And just as often I learned by watching others and being schooled by their positive (and sometimes negative) example. Reversion to a steam gauge panel isn’t specific to ab initio pilots, but I’ve wondered the same thing myself. See: Are Needle, Ball, and Airspeed Obsolete? I shudder at the many stereotypes we ab initios are known for. Lemme start with interesting article very provoked by this but I’ll be frank. I feel like I missed out on a lot of things. I jumped into a medium class jet before I had fully understood what Mach Tuck was. I was flying a jet before I hit 1000 hours flight experience. Here’s the part you didn’t even account for. Ab Initio training was the most difficult thing I have done in my life. Why? My training was more vigorous than the ‘well-rounded’ pilots from the get go. From day one the airline keeps tabs on your progress. Maybe to ensure you’re developing with these ‘right habits’, maybe to ensure the successful who emerge from the slaughterhouse of ab initio are capable to bridge the gap of experience initially with smarts and wit and a hell of a lot of hard work. You know nothing of the challenges ab initios face, when they jump from light singles, to twin props and to massive turbine powered machines in that short span of time. You have no idea the strain the constant aptitude, type ratings, flight and written tests impose, just to ensure they are capable of manning an airliner at 30-40k FT. You have no idea how strenuous the program is, and how easily tiny mistakes are non-punitive. You have no idea how hard it is transitioning to airline flying for an ab initio. You have no idea the level of magnitude successfully accomplishing the training is to a low hour pilot. I will not however try an debate that the training alone can bridge the gap in experience levels. It will not. That can only be achieved the same way GA pilots gained their ‘aerobatic, G-resistant well-roundedness’. Airline flying is indeed not GA by a long shot. But we face challenges that add onto your experience pool. Experience that after years I think will have compensated for my unwellroundedness. Ab initio programs are usually frequent, difficult and as taxing to try gap for the experience. So far I find it arduous the amount of work I have to do compared to perfect GA direct entry pilots. But it’s actually articles like these that make it all the more worthwhile when I thank God I made it through. Me and my merry band of Ab Initios will enjoy proving your facts wrong. Oh Abbott: I’d usually have generated options of what to do in such a case. Especially remote airfields with non precision approaches. Every pilot generates options. Some are better than others. But after training I definitely have seen worse scenarios than this. If an ab initio FO such as myself knows what to do, I wonder how routine it would be for the fellow on the left seat. Thanks for your thoughts — I was hoping a few ab initio pilots would join the discussion. Having been through an accelerated program with ab initio classmates, I’ve seen what it’s like and I wouldn’t describe the training as easy. I recall flying at 5 am and being in class from 8 am to 3 or 4 pm each day for several straight weeks. Each career route has it’s challenges. And I do agree with you that it’s possible to make up the missing elements on the back end. Experience is experience, however it’s obtained. It’s not that ab initio training is deficient in and of itself, but rather that some of the indefinable things one learns from working up the career ladder the traditional are not easy to obtain when you jump right into a Boeing or Airbus product. The main fallacy the hurt posterior makes one do in this comment is equating difficulty of training with such training teaching something valuable. In addition, an extremely difficult training may still miss teaching pilots something vital, if it’s not included into the approved curriculum. As an instructor of “ab initio” pilots, I find that type of training simply holds students to a lower standard. I train to within 0.1 hours of a fixed amount of time, and then if I think the student can pass a check ride I have to endorse them. There is no allowance for training beyond the pass/fail mark. The passionate, fast learners among the group excel in the training to fill any gaps. Everyone else is doing the minimum amount of work to avoid a setback in time or money. In response to Chwam, yes accelerated training can be extremely difficult. However, just because the program is very fast or challenging does not mean it will add up to the years some pilots devote to their commercial proficiency. I do think the USA flight training industry will need corporate help soon. Just not the kind of help that puts the minimum of experience into a cockpit. Since you’re working in the ab initio world, I’m curious about how you’d structure that corporate help and/or change the current flight training system to improve on the academy-style accelerated training. Any thoughts? First and foremost, we need entrance exams to help bring down the failure rate. We need grant money to pay for commercial training for pilots. We need to build a 4-year degree that results in an airline pilot rather than an ink dry flight instructor. Basically, we need to take all the separate parts of the current system and line them up so that they work in a coordinated manner to produce pilots instead of dropouts. Good thoughts there. Updating and improving the FAA training requirements would help, too. Better use of the simulators. I’d like to see aerobatics and serious practical upset training added to the requirements, along with recurrent exposure to those things throughout a 121 pilot’s career. Let’s face it, airline guys manage more than they physically fly. International types often don’t even get enough actual landings to stay current. I appreciate that your suggestions go beyond the one dimensional scapegoat of blaming instructors for being lazy and unprofessional. Let me clarify my target and position because I seem to have touched a personal nerve and for that I apologize. After rereading my post I may be guilty of making some generalized statements and I’ll be sure to watch for that in the future. First my target: The Ab Initio Training purpose and philosophy, more specifically the USA variant on the Euro original. These programs were created for a specific purpose. Airline staffing requirements. An industry dedicated to meeting the needs of a deregulated, boom and bust, low cost carrier business model. The need and solution was created by the same entity, the airlines. They recognized the urgent need for a steady supply of “legally” qualified pilots and built the pipeline to feed that need. Fast! These programs are not wham bam, ticket schools, no guaranteed pass or your money back pitch. I believe a lot of thought and many millions went into the R&D of required curriculum. It’s no small feet to cram all that info into the time allotted by these programs. That feet was accomplished by concentrating on a very specific goal from start to finish. The goal of producing an airline first officer. As far as the main benefactor is concerned the Ab Initio structure is poetry in motion. Let me clarify who the main benefactor is so there’s no confusion. It’s not you. It’s your prospective future employer. The relationship entered is so heavily weighted in their favor it’s mind numbingly frustrating. The curriculum administered can be highly concentrated, fast paced and niche specific. And there inlies the problem. The niche specific training that intentionally produces specialists to perform a specific task. What happens when the task is changed? Taken away? Or exponentially compounded due to the newfound lack of glass panel SA, automation, redundancy and prearranged flight planning/logistical support? You COULD end up with an individual who is 100 percent legally qualified to hold out to the paying public without the requisite experience necessary to adequately conduct a safe and efficient flight in an aircraft that might not have the performance or capability of all they were ever taught to fly? What about the financial aspect? The, “classic” Ab Initio programs pioneered by Euro Flag carriers like Lufthansa we’re/are primarily funded by the airline itself! What a concept, the airline investing in their prospective employees up front instead of saddling their candidates with $100k in debt for a chance at an interview. That’s the part that tears my heart out. I here these horror stories from my fellow flyers of a regional airline job that didn’t pan out and the continuing financial struggles they endure. They hit the street looking for anything and the lack of PIC time severely limits their options. Meanwhile the main benefactor keeps chugging along and doesn’t miss a beat… I’ll get off my soap box now because I gotta fly. I hope I got my point across without stepping on anymore toes. Fly safe boys and girls! The debt load some of these guys carry is incredible. I’ve thought about that as a subject for a future post. One pilot I flew with was staring at $155k in college and flight training loans. When you combine that with the low starting wages of a professional pilot (the guy in question was earning $14/hour, as I recall), it’s truly tragic and probably one of the best arguments for an airline-sponsored ab initio program. Gentlemen, I do apologize for the brash tone. But I felt a bit insulted when I first read this article. Today I am more level headed. I do see what you all mean. I won’t even begin to argue with that. I cannot speak for all the Ab Initio programs in the world. I speak for that which I am a product of. Just to clear up on this automation complacency; my ab initio training, as Mr. Rapp mentioned was a seesaw with books and flights on separate ends. We started flying basic planes, no automated displays, no GPS, no IRS, no A/P or A/T. Traditional needle displays- No RMIs even initially. We flew this way all up to twin level IR. Manually intercepting radials and QDRs from ADFs, the basics hammered into us by the instructors, who knew we had to get it right early because airline flying was around the corner. Once done with Commercial IR and Twin Eng. ratings we began another year of airline orientation to both SOPs, jet familiarization and then about two months of sim and another 3 months on line route training. The aviation industry wouldn’t be what it was without the redundancies it ensures exist and thus for all the glass cockpits there was indeed a back up compass and ISFD. During training Dual FMC failure wasn’t farfetched and would happen frequently. One had to always back up the automation and ready to deftly and efficiently fly manually and with needles to be checked out for flight duties. Actually had such a failure recently and wasn’t a moment of doubt when the maps disappeared. My first instincts jumped to the standby instruments to verify we were holding up as planned. However the case let me assure you that I and others from this program would be surprised should the automation fail or malfunction, but would step in naturally to aviate the plane as best as was possible whether glass cockpit or traditional displays. We can read dials as analogue or digital (I personally prefer analog dials). The logistics support in an airline is amazing. Before getting checked out though one had to show their ability to dispatch the plane. Including pulling out FCOMs, referring to MEL items that had been deferred, considering weather enroute, fuel decisions, manually work out the loadsheet and MACs and checking limits are kept, the whole nine yards. I am personally capable of dispatching an airliner (theoretically) and the importance of this is obviously to ensure that I can spot something out of place when handed a document with a fatal error on the stab trim, or a defect that could jeopardize the operations of a flight. So rest assured Charlie Mike, the Ab Initio training I went through made sure we understood such and many other things we had missed due to jumping through loops as quick. That being said I honestly reiterate that despite all the airlines and initio program efforts some things develop over time and cannot be simulated or studied. I personally ask as many questions and read as avidly as I can whenever I don’t understand why something happened or if it’s legal enough to continue or return with your trail between your legs. Alot of these tricks I’m actually acquiring from Capts who flew GA for longer than they can recount. It’s important to realize as an Ab Initio there is still alot to learn even after successful completion of the program. That’s my point of view any way. Self betterment, regardless of whether I am a perfect by product of someone’s ambitions. I have to ensure that my skills are sharp enough to cater for all the souls in the back expecting and trusting I know my duty. I suspect that no matter how much we wish that vibrant GA remained the foundation of Ameircan professional aviation, it’s not going to continue. Thus, airline academies are inevitable. Note, however, that it’s possible to maintain a pseudo-GA by government decree, precisely in order to keep a depth in the pool of applicants — usually for the nation’s armed forces. USSR did it with certain success through a system of DOSAAF. The country was dotted with little airfields where An-2 biplanes and Yak-18 trainers were based. Naturally, cadets of DOSAAF commonly found themselves in militarized schools that produced crews for Aeroflot ships. They flew VFR quite decently, and still do. The Asiana 214 accident had them aghast as much as Americans. While I have the utmost respect for Russian pilots — I’ve seen them fly and win more than a few world aerobatic titles — I’d really hate to see general aviation by government decree. Sounds good in theory, but it tends not to foster innovation and vitality in any industry. The places where you see the brightest future for GA are where there is LESS government involvement. The homebuilt sector comes to mind. I think many people are distraughtly thinking the rate at which the ab initio program goes diminishes the quality of training. The training is tougher with higher standards and lower tolerances to ensure cadets with above average abilities progress. The program does not compromise on any training initially. Ab initio programs alter some few things but ensure especially earlier in training that the cadets could fly the aircraft, not referring to an airline training program but an air school perspective Author. Meaning there was time to fly understand the plane and flight wholistically. Nothing was compromised on. If something valuable wasn’t passed on it probably would later on, if it affected the safety of operations, or just to better orientate the pilot situationally. Still if something else were not to be acquired in this time, I can guarantee from my program, it would not affect the safety of operations but rather the quality of decisions made from lack of experience. Meaning an aircraft would arrive safely but maybe opinions would differ on what should have taken place; which to my knowledge always arise anyway Author. Hopefully we can all agree that ab initio pilots are held to the same standard vis-à-vis their flight training. They have to pass the same checkride and achieve the same PTS performance as anyone else. And the rate at which a training program progresses is irrelevant. There are even advantages to an accelerated training rate, as it aids in the retention of material learned. I’d much rather see a student fly 5x a week than 5x a month, ab initio or not. The issue here is what happens after learning to fly and before jumping into the right seat of a Boeing. For ab initio pilots, the answer is: nothing. They finish training one day start working for the airline directly thereafter. Non-AI pilots, on the other hand, usually have a large gap in there where they build flight time and experience typically doing a variety of things. Whether that’s flying privately, working an entry-level pilot job, instructing, or something else, the point is that the learning continues in the real world. I think the question to be answered is this: is the period between flight training and working for that Part 121 airline worth anything, or are pilots who work non-airline jobs simply spinning their wheels needlessly? I argue that there’s plenty to be experienced and learned doing those crop dusting, banner towing, cargo hauling, piston twin flying, or instructional gigs. 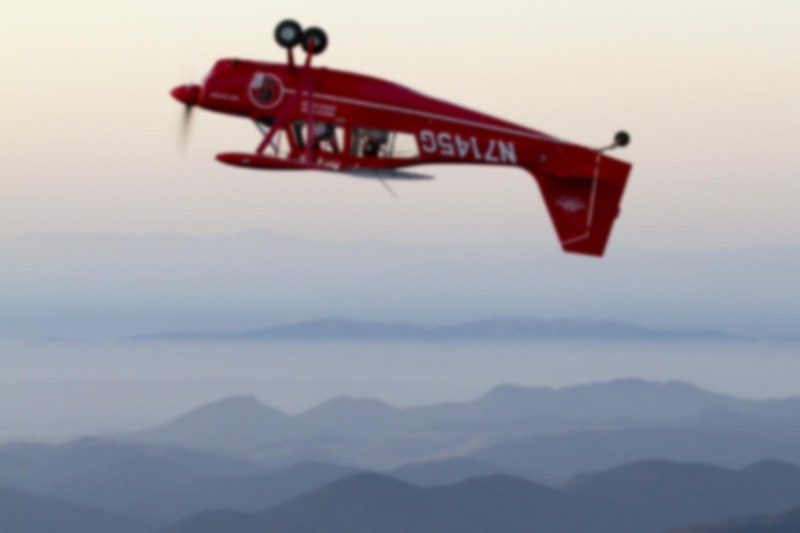 I think pursuing tailwheels, mastering aerobatics, or flying gliders is helpful no matter what you fly. I say that as someone who has flown everything from ultralights to seaplanes to high-performance homebuilts to warbirds to long range, large cabin multi-engine turbojets. The reason being the learning never stops even for a season pilot who flew GA and joined the airline. He’d learn more as he worked for the airline. Same case as the Ab Initio. The gap between training and jumping to the right seat doesn’t imply the learning curve levels out. You are always learning, every day, every hour; as every flight is unique due to a variety of dynamic factors. Having a pool of knowledge is vital I agree. But I choose to think of it this way, the information that we are exposed to is enough to operate an airliner safely under any conditions; normal, duress or distress. Any deficiencies noted on any ab initio is individual and shouldn’t paint a picture of all the others or the program in itself, unless of course the statistics do point in insufficient knowledge or know how which would of course lead to scrapping the program due to unsafe pilots. Now, further to the knowledge and skills acquired to fly the airliner; the rest is good to understand and keep abreast with; more as a guide in the minutely remote chance the procedures taught do not work and experience needs basically to take over. Maybe learning to glide might provide better judgement in a situation both engines give out and cannot be relighted. Such cases maybe. As for the general pool of knowledge acquired in GA, I believe that airline flying would over time give just what is needed as not all of GA experience is applicable; just my thoughts- feel free to differ. Experience and knowledge are limitless. It isn’t absolute. There are countless changes to industry with time. Meaning if ab initio is going to be a way of the future, definitely the process will be under scrutiny and the material reviewed and rereviewed to better suit the industry standards. There’s nothing I’ve missed that I feel would have changed the way I fly, or make my decisions too drastically. I believe the program is enough, the rest can be learned as one operates depending on their personal drive and interests outside of routine airline flying. What a fantastic discussion! I am also grateful that actual ab initio-trained pilots have stepped up to the plate to offer their perspective. I have great respect for those a.i. candidates who’ve been commenting here. You have accomplished something extraordinary, and I applaud you! However, Ron and I are certainly of the “old school” way of thinking, that there is an art to flying that can only be taught by the school of hard knocks. My books and blogs (and Ron’s as well) are rife with fun, “There I Wuz!” stories…that, bottom line, taught us how to fly! However, I simply do NOT see this ever happening in the overly-sterile ab initio cockpit. I think the safety record in the U.S. is second to none mainly due to the absence–so far–of this type of slam-bam rote training. Why? Because there’s one thing that can ONLY be taught by real-world experience: judgement. You just reminded me of a famous Will Rogers quotation: “Good judgment comes from experience, and a lot of that comes from bad judgment.” As I often tell my students when they’re feeling down about their performance on a particular flight, you learn a lot more from the stuff you do wrong than the things you get right. It’s probably difficult to quantify in words how your experiences flying the wilds of Alaska’s last frontier have made you a better Airbus captain, because those are two very different jobs. But it was important enough to your flying career that you wrote your first book about it and often reference those years in your articles and posts. That’s the sort of thing I feel the ab initio programs will have a hard time replicating. Ron, I realize I’m jumping in here late, but I’m glad you wrote this article and have inspired such debate! Air Force pilot training could probably be considered Ab Initio, but I think it has some redeeming qualities that the commercial sector could learn from. When a pilot graduates from Air Force Undergraduate Pilot Training (UPT), they have proven a baseline level of proficiency, but are not qualified to fly a specific type of aircraft. They have their wings and thus the designation of “rated pilot”. But that is just the beginning of the learning. From there, fighter pilots go off to several months of IFF (Introduction to Fighter Fundamentals) where they continue to fly the last aircraft they flew in pilot training – the T-38C – but begin to learn to maneuver tactically. From there, they go to the Basic Course (B-Course) for the fighter they will be flying. They go through a step by training to be proficient in FLYING the aircraft and familiar with employment, but not yet actually qualified to employ it. That is what Mission Qualification Training is for (yet another level of learning.) When all is said and done, the young mission qualified pilot can employ the aircraft after a little over two years of constant flying. Are they well rounded? That could be argued. My point is, they’re qualified to do what they are assigned to do. They get good at it over the years. They start as wingmen, and eventually get upgraded to a 2-ship flight lead, then a 4-ship flight lead. Eventually, you can become a Mission Commander and an Instructor. I think the baseline training that brings a pilot to get his or her wings is really where the USAF got it right. Tanker pilots get to do aerobatics in their first 6 months of training. Fighter pilots get to do cross country instrument navigation in both phase 2 and 3 of training. It’s a course designed to give breadth of experience to young pilots. The REAL experience, however, doesn’t come until long after they’ve graduated. It comes when they are the 2-ship flight lead bringing their wingman back home at night through the weather with an emergency. It comes when the tanker they were counting on didn’t get airborne and now they have to make decisions as to whether to continue to the target area and then immediately divert or go home. We all brag about our “experience” as pilots. It’s in our nature and it’s how we stand out. But one pilot’s experience isn’t necessarily better than another’s. It’s just different. We all learn at different rates from different things. One pilot may have been in more situations, but didn’t learn anything from them while another pilot has been in fewer situations, but has learned enough to expand that knowledge into other areas preparing him for other experiences. When it comes down to it, your personal abilities play into the effectiveness of the instruction you’ve been given. The ab-initio schools need to take a long, hard look at their students in the same way the USAF does to weed out those who won’t be worth a dang to the flying community without a lot of seasoning. What a great perspective, Rob! I was hoping you’d chime in with some thoughts. Military flight training could be considered “ab initio” since it technically starts from zero hours, but I think that’s about the only thing it has in common with the airline-style programs. I’ve never really considered it ab initio. For one thing, the mission is totally different: military aviators are preparing for hazardous duty in combat zones, whereas civilian airline pilots fly a comparatively small envelope with little bank, pitch, or yaw. Few surprises. The military spends years and millions of dollars training each pilot. The pace is far more sedate than accelerated civilian schools. And as you noted, military students either perform to standard in the prescribed time frame or find themselves washed out. And finally, the military not only trains pilots to fly VFR and IFR as civilians do, but also exposes them to a much wider variety of operations, from formation and aerobatics to ACM. I’ll relate a story about the pace of military training. I went through G-IV initial with a pilot from NOAA who’d been given the choice of flying the Gulfstream or the P-3 Orion. He really wanted the P-3 but selected the Gulfstream IV instead. I asked why and he said that there were no civilian providers of training for the Orion, so if he wanted to fly that airplane, NOAA would have him attached to a military unit for something like eighteen months until he was fully qualified. The G-IV training was three weeks. Anyway, thanks again for your input. I think we can all agree that the Air Force got it right with their training! As a Jew I can say that the word Meshugana (or mishegas as your long island Bubbe would say) was quite close to the actual definition in use. Certainly a lot of mischief, running around and downright craziness. The ab intro story is interest and I have a lot to say about it. I had the misfortune of sitting in on an ATP sales pitch yesterday. Not once did they EVER discuss the joy of flying. The two directors there were cold, formal and not really ambassadors to the world of aviation. Oh, and one wasn’t even a pilot, he was a loan officer, yet he did much of the talking. They promised they would talk for 30 minutes but ended up speaking for two hours. No one ever discussed the flying itself, the learning itself, the ratings, or even skills. Just getting that number. I, also this month, had the fortune to fly as a “demo flight” as it was billed, as a charter flight. They gave me the right seat and I went Island hopping. I can tell you it was one of the best fun I had in a Cessna and I logged my first third soft field landing ever. The School was Ab Intro. The pilots, all Indian’s in an Asian Country. They told me they didn’t even bother to learn the local language. Just fly. They did get some good gigs though, flying the Chieftans, Azteks and BN-2s into dirt strips. I was impressed on the MX of the aircraft too. When one of the Chief pilots asked me “don’t you want to go to the airlines” and I told him “no” he could NOT understand. I tried to explain but he didn’t get it. So what WILL you do he asked. Well, I won’t be a system operator, thats for sure. I would have loved to get on KLM, SAA or even RP Alpha or Bravo Ab Intro. 20,000 for all the ratings and a guarenteed job though. Oh, and for everyone who is complaing of their old “Crap Jobs” I will have you know I am sitting in a Bank Cubicle in the middle of the desert writing this. Your crap job at least put you on the ramp, in the air and doing anything BUT flying a desk. Yes, for the most part schools like ATP are designed for a very specific customer: those who want to get into an multi-crew IFR airline environment in the least possible time. In the airline world, seniority isn’t the big thing, it’s the onlything. A much different experience than training at places where they strive to build a complete pilot and teach the art of flying rather than prepare people for a career. Kind of weird, because you’d think career-oriented programs would provide the deepest training! Pingback: Are All Airline Pilot Training Schools the Same?